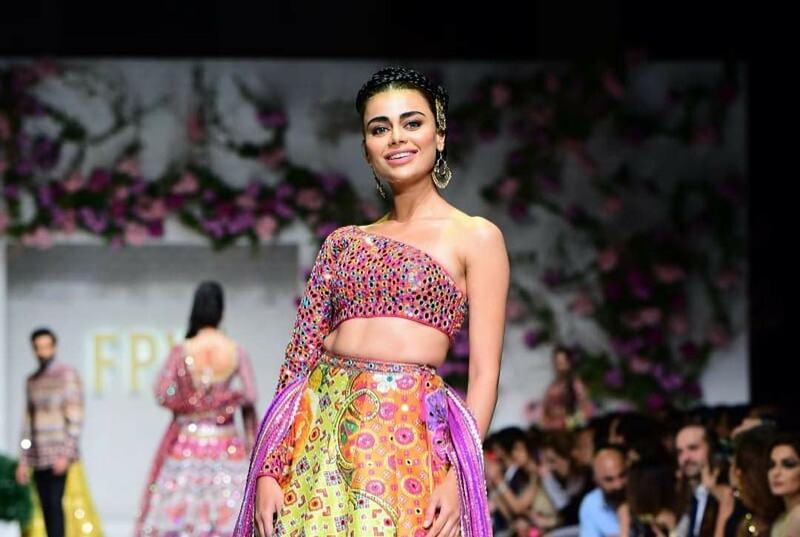 Huma Adnan was another emerging designer whose collection was displayed at FPW 2019. 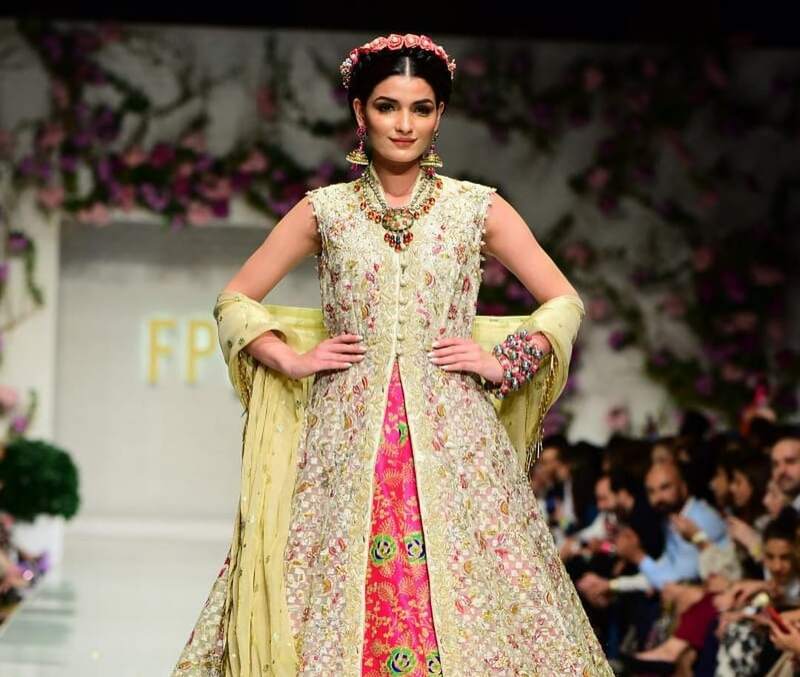 These designs are carefully created by the Afgan refugees who have been staying in Pakistan for decades. Even though they’ve been displaced from their homes but the skills they possess are endless. Craft Stories believes in conveying the tales of the refugees to people through their crafts or simply put these accessories are an expression of their personal stories. These accessories are made in collaboration with the UNHCR and were displayed at the FPW 2019 too. Jewels of the Nizams is known as the house of Hyderabadi jewelry in Pakistan. Their refined jewels are color customizable and nostalgically traditional. They make us reminisce about the past when Hyderabadi jewelry was adorned by Nawabs in the Indian subcontinent. 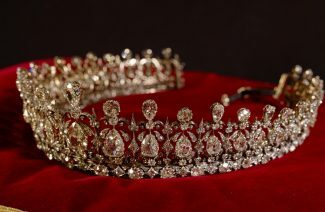 Royal families exclusively had Hyderabadi jewels crafted for themselves. 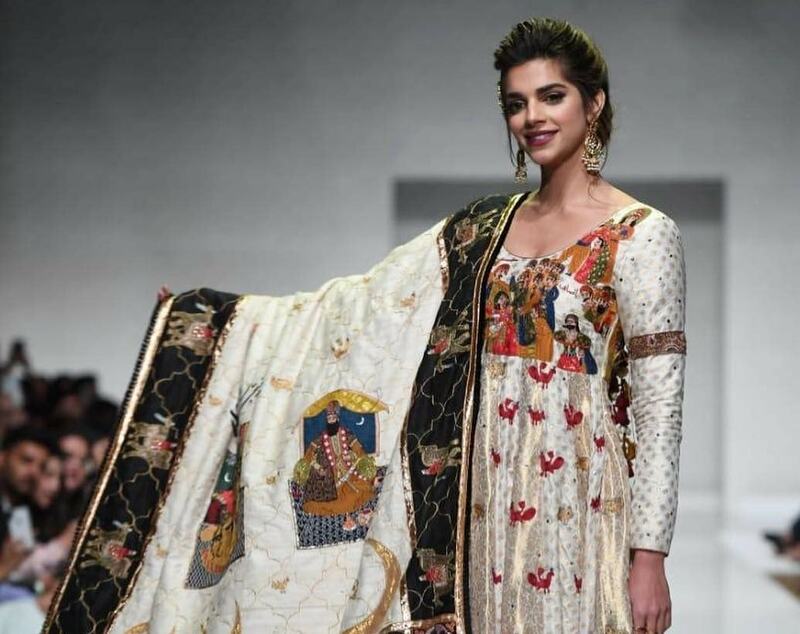 The image bellows shows the stunning Sanam Saeed in traditional apparel by Boheme by Kanwal and matching jewels by Jewels of the Nizams. 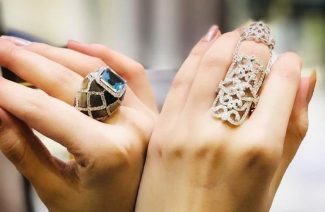 These amazing jewelry designers got a chance to display their surreal jewels at the FPW this year and they very well deserved the opportunity! 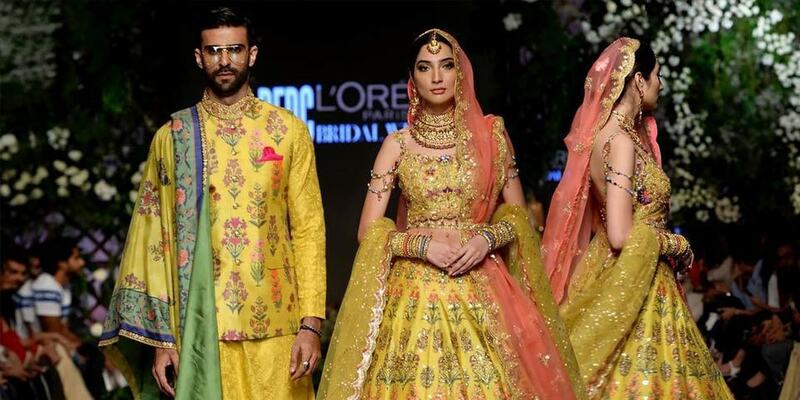 Your complete guide to who was wearing what at the FPW 2019! 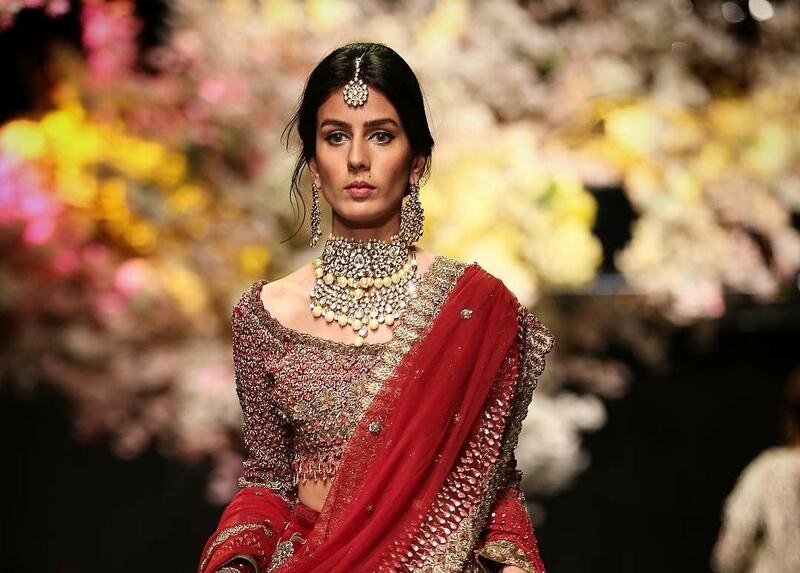 Jewelry designers who displayed their elegant jewels alongside bridal dresses in FPW 2019!